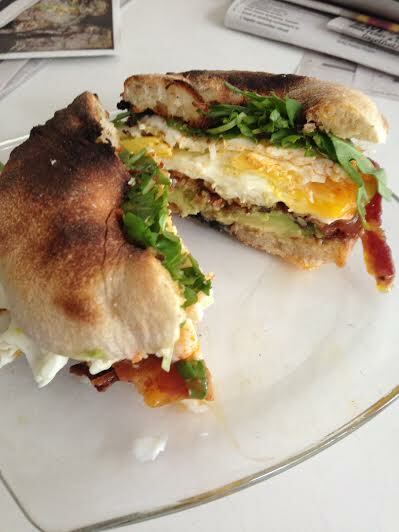 This is one of my favorite breakfast sandwiches and I have to be honest I can eat them all day. Four perfectly fried eggs. Make sure the yolk is still runny. Season with salt and pepper and if you want more spice add the Franks hot sauce. Franks is a staple in my house. I think my kids would drink it if I let them. This recipe makes two sandwiches because whenever I sit down to eat someone appears to eat mine. The other day I did eat two, felt too full, guilty but very satisfied. A slice of cheese makes this sandwich decadent.